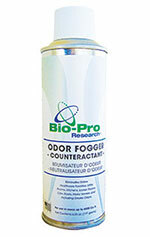 The Bio-Pro Research Odour Fogger is a total release fogger that destroys odors on contact. This is not an air-freshener; it neutralizes and eliminates odors in a room up to 20″ X 20″. This will not harm clothing, furniture, or electronics left in the room.